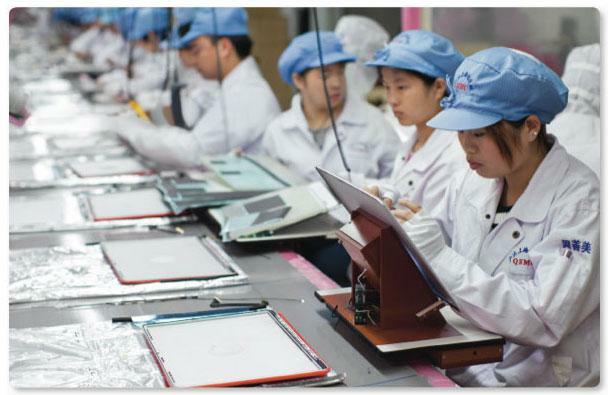 As Apple plans to begin building one full line of Macs in the U.S. in 2013, the company's primary assembly partner, Foxconn, is working to expand its operations in America. A spokesperson for Foxconn indicated to Bloomberg that its partners have requested that more products be built stateside. Luis Woo said that challenges for Foxconn include a need for skilled engineers in America. "We're looking at doing more manufacturing in the U.S. because, in general, customers want more to be done there," Woo said without naming specific clients. The comments come as Apple Chief Executive Tim Cook has revealed that his company will spend $100 million to produce one entire line of Macs in the U.S. next year. Cook declined to say exactly which Mac product will be built domestically. "We've been working on this for a long time, and we're getting closer to it. It will happen in 2013," he said. "We're really proud of it. We could have quickly maybe done just assembly, but it's broader because we wanted to do something more substantial." 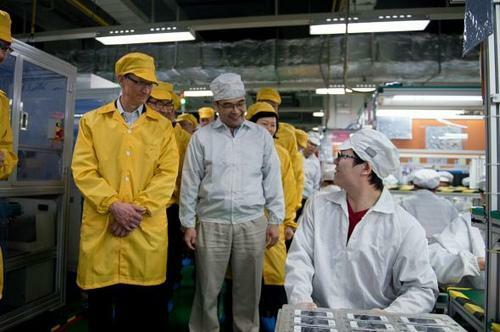 Cook's comments indicate that assembly, which is handled by Foxconn, will only be part of Apple's solution, suggesting that Apple's investment could also be related to individual components. Earlier this year, AppleInsider offered an in-depth look at how iPhone parts are made across the globe before they are assembled for the final product in China. The comments from Foxconn also lend support to a rumor from last month that claimed the Taiwan-based manufacturing company was looking to establish new plants in America. Specifically cited as potential locations were Los Angeles, Calif., and Detroit, Mich.
Apple Chief Executive Tim Cook personally visited a Foxconn factory in China earlier this year. Terry Gou, chairman of Foxconn, also revealed at a public event that his company is planning a training program for U.S.-based engineers. Through a planned partnership with the Massachusetts Institute of Technology, Foxconn hopes to bring American engineers to Taiwan or China to be involved in product design or manufacturing. Companies such as Apple have come under fire for their reliance on Chinese labor for the assembly of popular electronic devices. Critics have contended that wages are too low, and have pointed to employee suicides as evidence of poor working conditions.